Factacular : Doczane exposed on TV. Forums > Announcements > Doczane exposed on TV. 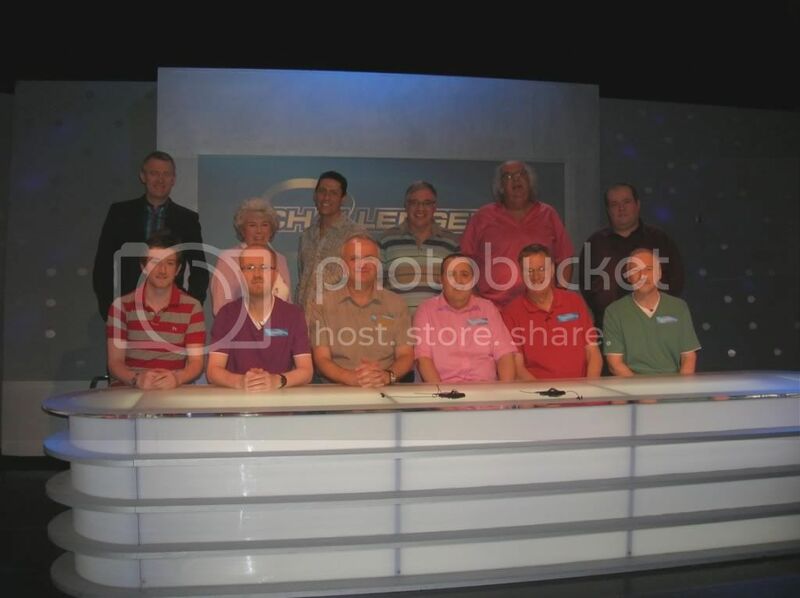 It may not mean anything to those outside of the UK but just over 12 months ago I took part in a BBC TV quiz show - Eggheads. The basic concept is that a regular team of professional quizzers are challenged one on one and collectively by quiz teams. OOOOOOH! I wish I could see it! We only get BBC news here! Damn! Missed this, sorry Doc! Shaunt - it's only shown next Thursday - can you pick up BBC where you are? Cheers Jackson - thought of iplayer but not sure if people outside UK can use iplayer - people of foreign and strange lands can you confirm? Hop I do well Tabbs - someone stood on your paw? Go doc! I'm SA we are about 7 years behind ahahhahah! But we get BBC Prime on satellite and I will keep my eyes open for it. Hmm the idea that I'll be floating about the airwaves for 7 years is a bit daunting but I suppose it happens all time on the web these days. Any other facta people been on TV? Not sure I can access current Eggheads screenings but will try other ideas. I understand he has left the show and following his first love of musical theater! Maybe we could see a list of the questions and then see how we Yanks would do?????? don't think we would cut it in European trivia. True! But we could try...kind of like the Java??? Hi Sally - very few people seem to like CJ - at the filming you get the impression that some of the eggheads don't take to him, but he plays to part - a panto villain. I spoke to him ( I went head to head with hm) + he seemed ok but I got the impression that he choses who he wanted to speak to. Not sure how I'll come across after the editing - I was a bit quiet as I was shocked at going first. if you can post it on facebook we could see it. Depends where the image is. If posting on the Factacular Facebook page you just need to post the link if it is a web page. Or you can take a screenshot using a program called Lightshot and post it on the Factacular facebook page. Or just upload it there. If you want to post it here I need to know where the pic is to give you instructions. CJ used to attend my local pub quiz, along with Mark Labbett (the beast from the Chaser on ITV). Unsurprisingly they did pretty well. At least, they did until Mark got them banned for being a little too abrasive to the landlady. Anyhow, I'm looking forward to the airing, doc. JMK don't know how to break this to people but I'm not on Facebook!!!! The pics are on my hard drive at mo. Doc Fact - we play against Pat Gibson in our local quiz league and for our presentation night another team turned up with Ann from the Chase! - tough night. 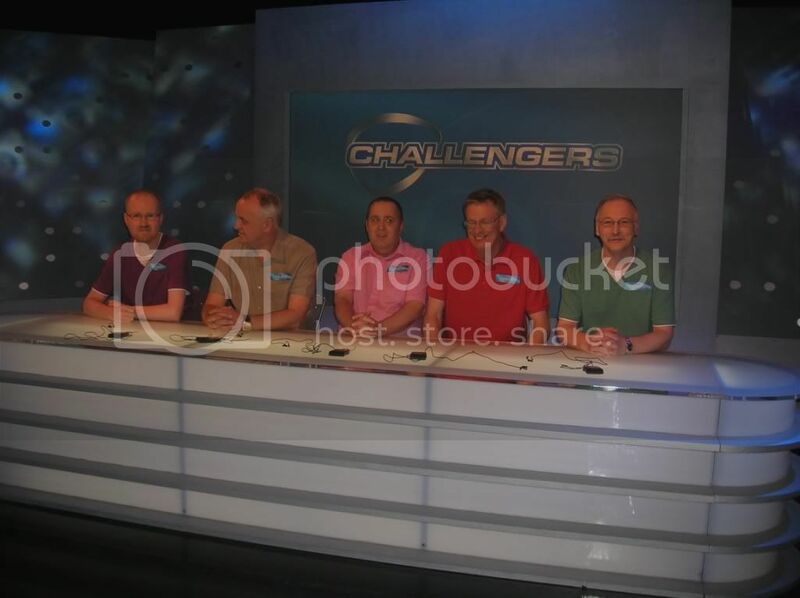 RMC - Jeremy was ok but he basically came on the floor did his pieces to camera and proceded with the quiz - there was little chatting before or during filming to Jeremy but they were running late - we chatted to the Eggheads after the quiz whilst they reviewed the tape and did some re-shoots. Doc, yes I can receive BBC here in remotest Beglium... ;-) will check this out on Thursday defo, nice one! You need to upload the photo to the web Doc, so to somewhere like Flickr or Photobucket. Once you have done that I can give you the next set of instructions, Or PM me and I'll help you do it. Click on the small images above to open a new window containing a full size image. They're a little big to pop into the forum. I'll let doczane provide the captions. the first picture is before the quiz - the second one is after the event. Well not exactly Kevin Costner but quite handsome! What does gormless mean? It was fantastic to finally watch my fellow Army Member in action! You were all brilliant! I loved the way you wiped the smug smile off CJ's face - he thinks he cannot be beaten on music. Even I knew the answer to his question, although that's probably because I listen to Prince far too much, to recapture my rapidly disappearing youth. I had CJ down as a massive Prince fan too! An excellent performance doc, for you and for the Brocketeers as a team. The Eggheads were on the run from the very start after you took out CJ. It's not often that they get beaten, so it's a shame the previous time was only £4,000 ago! Thanks folks - The Doc revealed. everyone hails me as a hero as I beat CJ but as you say he beat himself on an easy question. As we said we did have a plan - to try + get Paul and Dave through to the final - I was sort of a bonus and it gave us an added boost. The local paper ran a piece on us tonight and we plugged the Brocket and the local quiz league we play in, trying to increase the number of teams - it's a sad fact that as pubs close we are losing teams + a good night out. We did enjoy the experience and after a year long gap it's good to relive those days. Just a pity that it's downhill from now on, but two of the team have applied for Pointless, One for Million pound drop and two are considering Bargain Hunt, not for the fame but just the buzz. I've always fancied a go on Only Connect. Anyone up for making a team? Hmm haven't seen it but having seen who presents it I wouldn't mind - she's like the modern day Joan Bakewell! I'll have to iplay some episodes to check it out.